Twelve Islamic militants were killed, two police-guiding Bedouins shot dead, and four others injured in clashes between Sinai extremists and security forces on the Dashlout-Farafra road. The battle took place 80 kilometers deep into the Western Desert, on the border of the Minya and Assiut governorates, like reported by egyptindependent.com. The bodies of the dead and the victims were taken to Assiut University Hospital. The weapons used by extremists were seized by the police. Public prosecutors headed to the scene for investigation. Security authorities in Minya and Assiut had received information about a group of extremists located in the Western Desert. 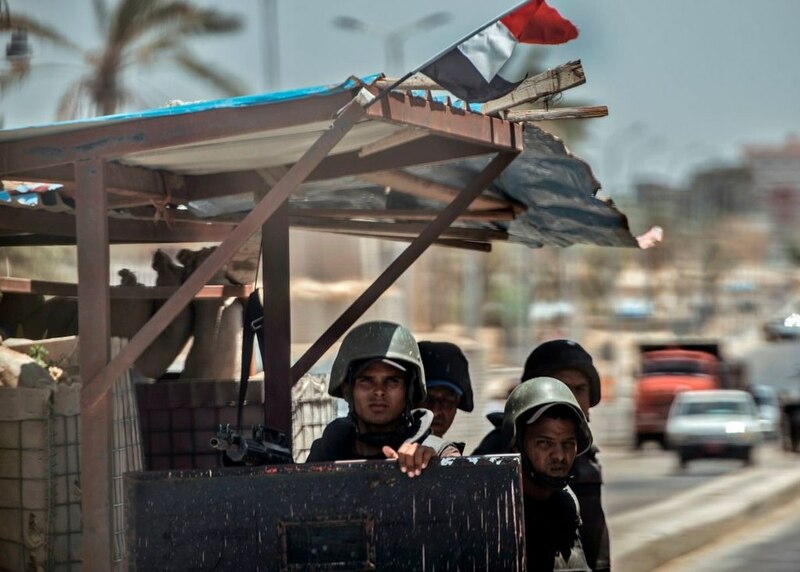 A crackdown was launched in coordination between the Public Security Sector, the National Security Agency, the Central Security Sector, and the security directorates of Assiut, Minya and the New Valley. Twenty armored vehicles took part in the crackdown. Extremists opened fire on the security forces upon their arrival to their location. After roughly five hours of clashes, twenty automatic rifles, different kinds of shots, leaflets, and a map for the surrounding mountainous area were seized from the extremists’ hideout. The prosecutors ordered the dead bodies to be kept under strict guard, and to undergo DNA tests.